Loose and dropping neck skin can add years to your appearance. Excess fatty tissue may result in the appearance of a double chin and can give a heavy appearance to the face. Surgical treatment of the signs of aging in the neck, also known as a neck lift, reposition and reshape loose or sagging skin and muscle, and may remove fat deposits in the neck and beneath the chin. Dr. Burke focuses on a natural-appearing result – a smooth, contoured neck, with visibly defined angles of the jaw and a youthful profile. Dr. Burke customizes each procedure to your specific needs and may perform a combination of techniques to achieve your desired outcome. In patients with good skin elasticity and no sagging, liposuction alone can achieve the desired result by treating excess fat deposits beneath the chin. Liposuction, in combination with a neck lift, is used to address both excess fat and loose, wrinkled skin. Rejuvenation of the neck is performed through inconspicuous incisions behind the ear, with perhaps an additional one, if needed, hidden in the crease under the chin. A neck lift is usually performed on an outpatient basis under general anesthesia. However, it may require an overnight stay if combined with other procedures. In some cases, our patients may opt for PrecisionTx™ , a nonsurgical skin tightening treatment to improve the appearance of their necks. Recovery depends on the extent of your neck lift and any accompanying procedures. To help prepare your skin for surgery and aid in the recovery process after surgery, Dr. Burke will prescribe the Alastin Skin Care Tri-Hex Transition Duo. Use the treatment for 2 weeks before your surgery and continue use after surgery for optimal results. You may engage in light activity the day after your surgery; a return to more normal activity may take 5-7 days. Your appearance will gradually refine over the following 4-6 weeks. Proper skin care and sun protection are essential during healing and to maintain your results. Results can be long-term; however, natural aging will continue after your neck lift, and weight gain or loss may influence the results of a neck lift. 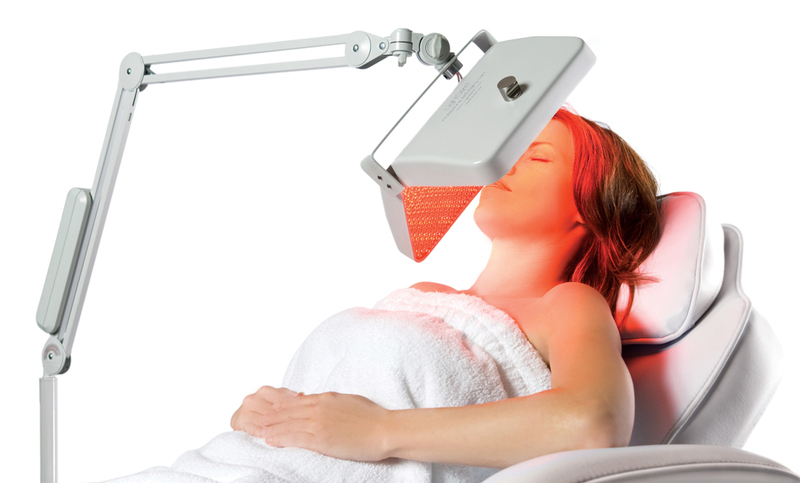 LED (light emitting diode) therapy used after your neck lift surgery can enhance the healing process and diminish scarring. Dr. Burke uses the LightStim treatment for facelift and neck lift patients because it can create smoother texture and help it become firmer and more resilient. LightStim is a comfortable, even soothing, treatment that naturally triggers the production of collagen and regenerates cells. If you would like more information about neck lift surgery with Dr. Burke, please give our office a call at (847) 382-4400 to schedule your consultation.